I see the streak of flashing light. as once more the lightning lights up the sky. 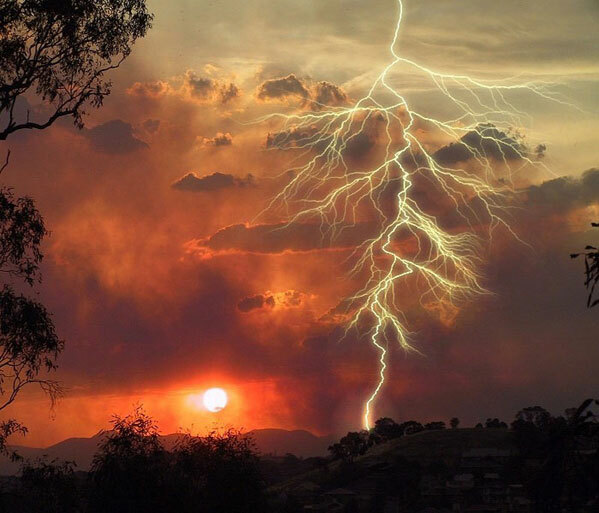 Thunderstorm and lightning are some of the most unpredictable natural forces. Two bright strokes meet somewhere far above the earth’s surface and produce gusty winds with thunder, lightning and heavy rain. Together, nature’s canvas provides a deadly yet eye-catching spectacle. Here we explore much of what there is about lightning and thunderstorms, including myths and a few important facts.